Can I use the Indoor Bark Control outdoors? No, we do not recommend keeping the product outdoors. PetSafe® Outdoor Bark Control products are weatherproof and can work up to 50 feetfrom a barking dog. Please visit our website at www.petsafe.net for more information. Can I use the outdoor bark control indoors? We do not recommend using the product indoors. Even though the ultrasonic sound is inaudible to humans and only emitted when the dog barks, some people have experienced discomfort after extended time with the unit activating in a smaller indoor space. The PetSafe® PBC-1000 is an ultrasonic product that can be used indoors. How does the Ultrasonic Outdoor Bark Control system work? The Outdoor Bark Control unit contains a microphone that senses a dog's bark. When it does, it emits an ultra high frequency that annoys but doesn’t harm your dog. Is ultrasonic bark control effective on all dogs? Ultrasonic bark correction is often the best bark control solution for many dogs. However, it will not work for all dogs because of factors like age, hearing ability, and temperament. When setting up the device, make sure there are no obstacles between the dog and the device. Also, make sure that the birdhouse speaker is less than 5 feet high and is facing the direction of the barking dog. We're committed to finding the right barking solution for you and your dog. If you’re not sure which dog bark control product to choose, contact our Customer Care team Monday through Saturday and we'll gladly help you decide. If you're not satisfied with your PetSafe product, you can return it within 30 days for a refund. View return policy. Place the unit no higher than 5 feet from the ground. Face the front of the device towards the dog. Make sure there aren't any large objects between the device and the dog. The sound doesn't travel well through fences, trees, or walls. Don't use ultrasonic bark control on dogs who are deaf or hard of hearing. They won't respond to the sound. Turn off the device when not in use. This helps prevent dogs from becoming desensitized to the sound. Add additional units to cover larger areas. Only use outdoor units outside and indoor units inside. The ultrasonic sound for each device is designed to be used inside or outside only. To improve battery life, turn the unit off when not in use. My dog is not responding to the ultrasonic sound. Check installation, making sure unit is not up higher than 5 ft from the ground and not more than 25 or 50 feet away from the dog. The unit does not activate. 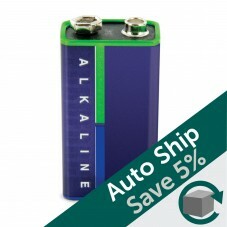 Check the battery and ensure that it is fresh and properly installed. Complete the "test" process for working unit. Consult your manual for instructions on your specific unit. Adjust sensitivity and/or range setting on the unit.